How to Start Writing Great, Traffic-Boosting Articles – Even If You Don’t Have ANY Writing Experience... & You Hated High School English! 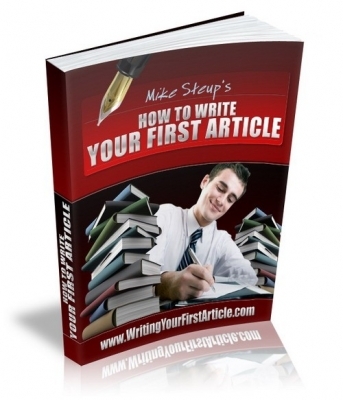 You're About to Discover How You Can Easily Write Your First Article So You Can Take Advantage of Everything Article Marketing Has to Offer! And luckily for you, there is a new guide available that shows beginners step-by-easy-step how to create their own traffic producing articles … even if you currently have trouble stringing together two coherent sentences. * How to create attention-grabbing headlines that will make readers feel like they HAVE TO read your article before they move on to anything else! * How to write articles that will appeal to your best prospects and will send them flooding to your website in no time! * How to create an article just like a professional – even if you’ve never written an article before! * How to format articles so they are easy-to-read and flow well on the page! * How to create different types of articles including review articles, list articles and many more! * How to create SEO articles and where to place keywords in your articles to ensure you get the most “bang”! * How to write in a conversational style so you keep your visitors interested in what you have to say!